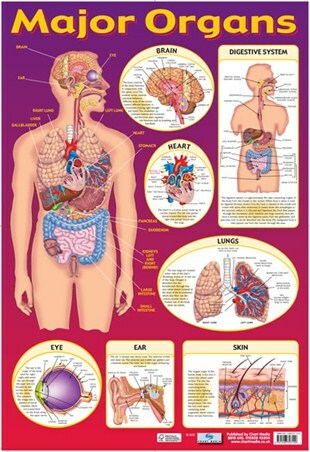 Educational Poster: This colourful, informative poster will look great at home or in the class room and gives your children all the information they need to know about the human body and it's organs. This poster has everything from the musculoskeletal system (bones, muscles, tendons and ligaments) cardiovascular system (heart, veins, arteries and capillaries), digestive system and functions of the eyes and hair as well as many other vital body parts. 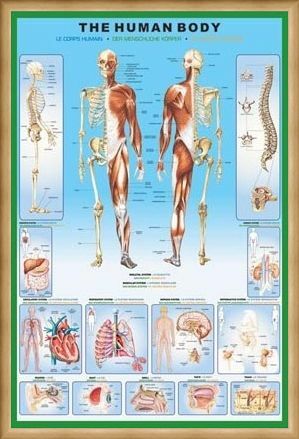 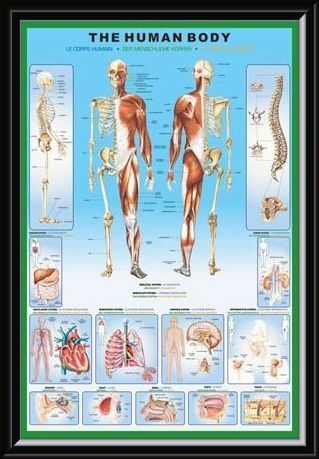 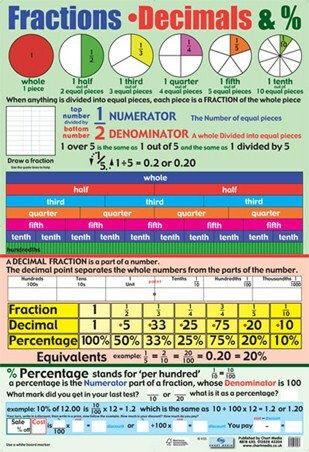 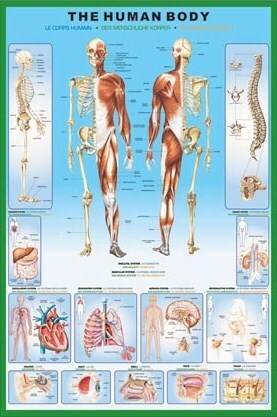 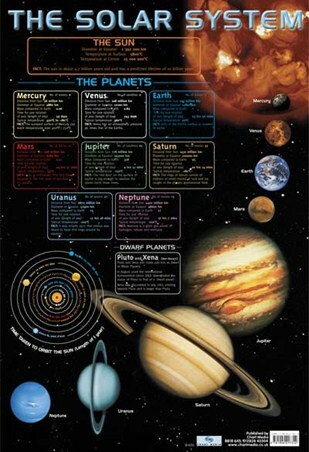 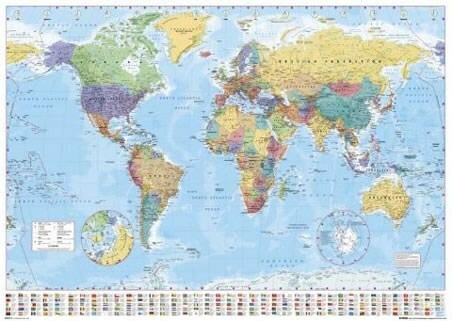 A must have for your child's bedroom or classroom wall which will really put them a step ahead when it comes the the human body and how it works. 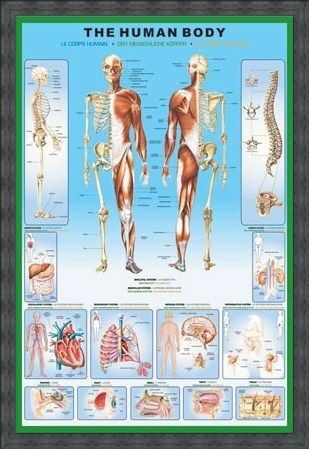 High quality, framed The Human Body and it's Organs, Human Biology poster with a bespoke frame by our custom framing service.